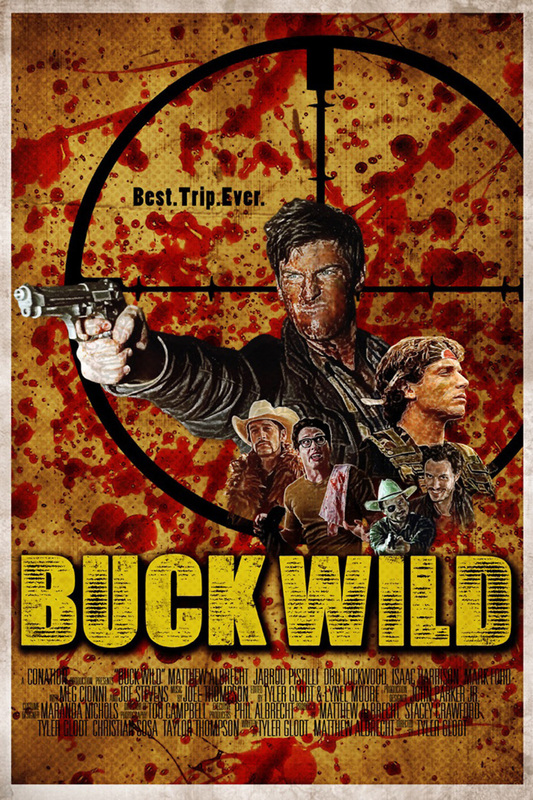 Buck Wild DVD and Blu-ray release date was set for March 18, 2014. When four friends go off on a hunting vacation together, a sudden turn of events changes their trip into a something out of a nightmare. After the lease's land owner is accidentally shot, they must come together to figure out how to handle the situation. However, things do not go according to their plans and they find out that getting rid of their problem is going to be much more difficult than they had imagined. The land owner was infected by a mutated strand of the flu virus, which has strange repercussions. Soon they find that there are many others with the infection. A twist of events reverses the roles of the hunters as they realize that they are now the ones being hunted.